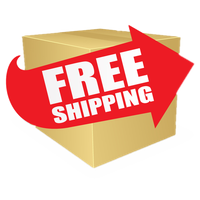 Free Shipping On Most St. Patrick's Day Inflatables! New Airblown St. Patrick's Day Leprechaun Inflatable. Bring in the Spring Season with this Jolly St Patricks Day Inflatable. Our Irish friend greets all passerby and wishes all with his arms open wide a big Happy St Patricks Day! Show some green and merriment this St. Patrick's Day with this large 6 foot inflatable! New St. Patricks Day Inflatable. Let this jolly Leprechaun light up your St. Patrick's Day 2019. Our friendly Leprechaun will greet everyone from his pot of gold as he is holding lots of lucky coins. Celebrate the start of spring and St Patrick's Day with this 6 foot inflatable and wish everyone "Happy St. Patrick's Day"." Guaranteed to bring lots of fun to your St Patricks Day party or event. Put some extra fun, good luck, and celebration into your St. Patrick's Day 2019 with our adorable 6 Foot St Patricks Day Leprechaun! This fella is all decked out in his Irish garb and is ready to party with you this St Patrick's Day. Visitors will enjoy the Irish fellow as he greets everyone who passes by. Our St.Patricks's Day Leprechaun will definitely put everyone in the Irish Spirit to celebrate St Patty's Day this year.....and start the kickoff of spring! 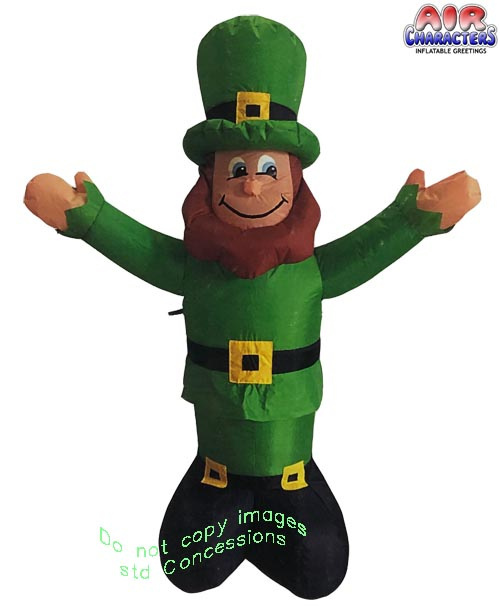 Back for 2019....St Patrick's Day 3.5 Foot Leprechaun Inflatable Great way to decorate for and celebrate this St. Patrick's Day either indoor or outdoors. This little Irish fellow will greet all your passersby and party goers this March with a great big Irish Hello. St. Patrick's 8 Foot Shamrock Puppy Yard Inflatable. Cute Irish Puppy with shamrocks to liven up all your St Patrick Day Parties. This St. Patrick's Leprechaun Stands 8 feet tall with Shamrocks and wearing an Irish hat. This adorable puppy dog will be the hit at your party. Happy St. Patrick's Day! Invite your friends and neighbors to join your St. Patrick's Day celebration somewhere over the rainbow. This very large 10 foot arch rainbow features some shamrocks at one end, and a pot of gold at the other end. Includes self-inflating motor with stakes to secure it into the ground and cord for plugging in to an AC outlet. Spot clean. Imported. Polyester. Back for 2019..... Shamrocks Patch St. Patrick's Day Inflatable. Add some green and fun to your St. Patrick's Day Festivities with this large 12 foot St. Patty's Shamrock Patch Inflatable. Three large shamrocks on display wishing all a Happy St. Patrick's Day. Put some green into your decorations on the day of green....St Patty's Day March 17, 2019. 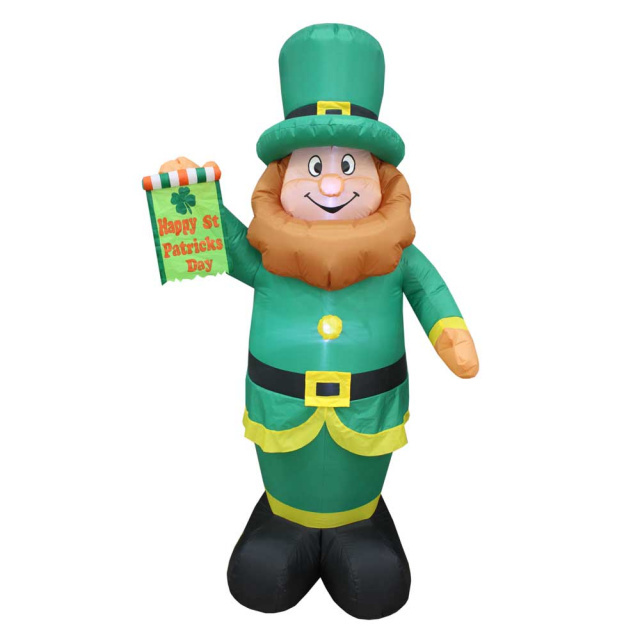 Show your Irish pride this St. Patricks Holiday by displaying this Leprechaun Inflatable in your yard or business, Greet everyone this St. Patrick's Day Season with this new 6 foot Leprechaun Patricks Day Inflatable. This Leprechaun inflatable wishes everyone a Happy St. Patricks Day! Internal lighting to light up the night as well. New for St Patricks Day...St Patricks Rainbow Arch with Pot Of Gold Inflatable. This St.Patrick's Day Airblown Inflatable stands 33" high and 5.5 feet long and lights up. Rainbow wishes everyone Happy St. Patrick's Day! New for St. Pattys Day 2019....Charming 4 Foot Leprechaun St. Patricks Day Inflatable. This Jolly Ole Irish Fella with hands out is ready to greet all your fellow St Pattys guests and join in all the fun and celebration. This Air Characters St. Patrick's Day Leprechaun stands 4 feet tall. Gemmy 6 Foot Leprechaun St. Patricks Day Inflatable. This jolly ole fellow stands 6 foot tall and lights up for night festivities. This Leprechaun inflatable is holding a shamrock wishing all a big Happy St Patrick's Day! Don't forget to decorate for the next Spring Holiday too..... Easter is right around to corner. Click here to see all our Easter Inflatables.